Below are some common questions and answers developed from talking to thousands of families over the years. Asheville Academy is exclusively designed to meet the unique academic, developmental and emotional needs of girls ages 10 – 14 (most girls are 10 – 13 upon admission). What is the student profile? Our program is specifically designed to support families with 10-14 year-old girls who need to build academic confidence, resilience, self-esteem, impulse control, communication, respect, and social skills. How fast is the Admissions Process? Families can place their child as quickly as 48 hours as long as we have all of the necessary paperwork. Call us directly at 800-264-8709 for answers and to receive the Application. Of course! Before enrolling your child we welcome tours. Once your daughter joins us we invite you for workshops and welcome visits pre-arranged with your child’s therapist at any time that works with schedules. Is campus safe and private? 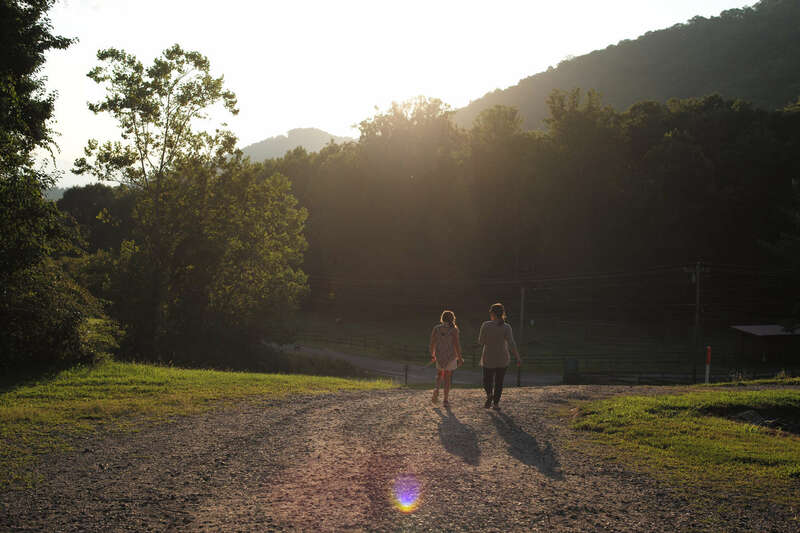 We have 75 expansive acres tucked into beautiful mountain valley. We are the only ones who use this campus – we are remote enough that we don’t have unexpected visitors and no one else is on campus not directly involved with programs.. All staff undergo rigorous interview process and background checks. Do you have accreditations and licenses? We believe accreditations ensure high standards of care and help families feel confident in our programming and effectiveness. Our academic programming is accreditation with AdvancED, and we are accredited by CARF which many believe is the gold standard for quality programming. There are programs that serve a broader age range or include boys. We wanted a small, close-knit family program focused exclusively on the special needs of younger, preteen girls. Our hope is to help prevent the challenges girls face from escalating into something more serious later on in life. Addressing the needs of a girl at this age can be incredibly powerful. Does my child need this? Have you tried things at home and how successful have they been? Our ability to focus on care and guidance 24 / 7 in all environments– school, activities, therapy, and residential life– is impossible to replicate at home, which allows us to see tremendous gains with our students. Your child will likely be scared of the new situation and may also promise to “do better at home” when you discuss this possibility with her. In our experience, your daughter will likely grow from fear and anger she already has to love and understanding that this decision was made with her best interests in mind. We are parents, too, and we know this is a tough decision, but it is one of the most loving decisions you can make for your daughter’s future.